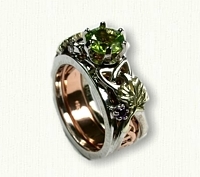 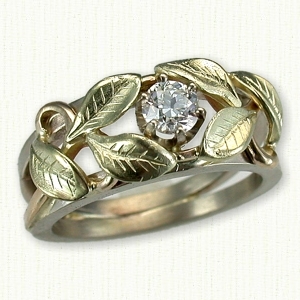 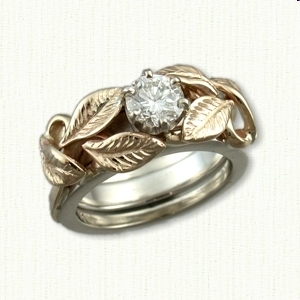 Shown: Custom Leaf & Vines Reverse Cradle shown with 14kt white rails, 14kt yellow vines & 14kt green leaves. 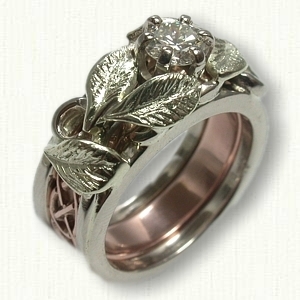 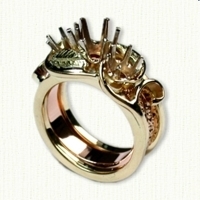 14kt rose gold inner band. 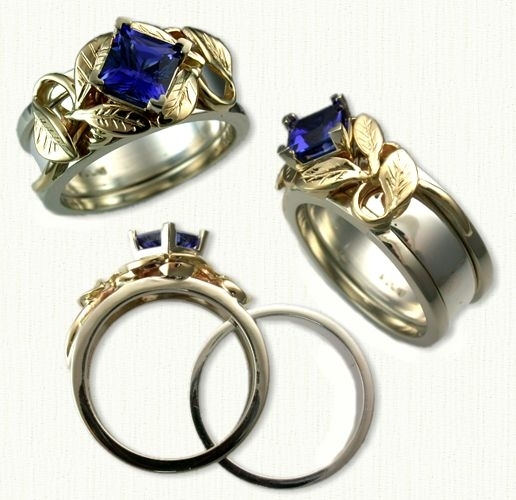 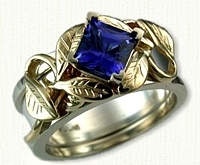 The ring is set with a 0.81ct round blue sapphire (5.5 mm). 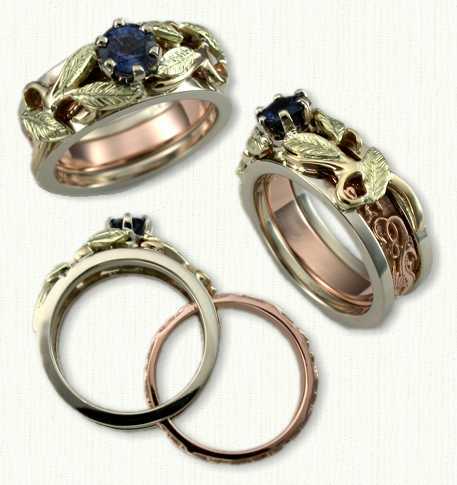 Visit our matching Floral & Vines band pages for other ideas. 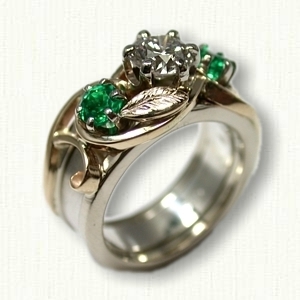 and includes a free sterling silver spacer band.